For a touch of femininity and class, choose the chiffon gown with its elegant pleating. 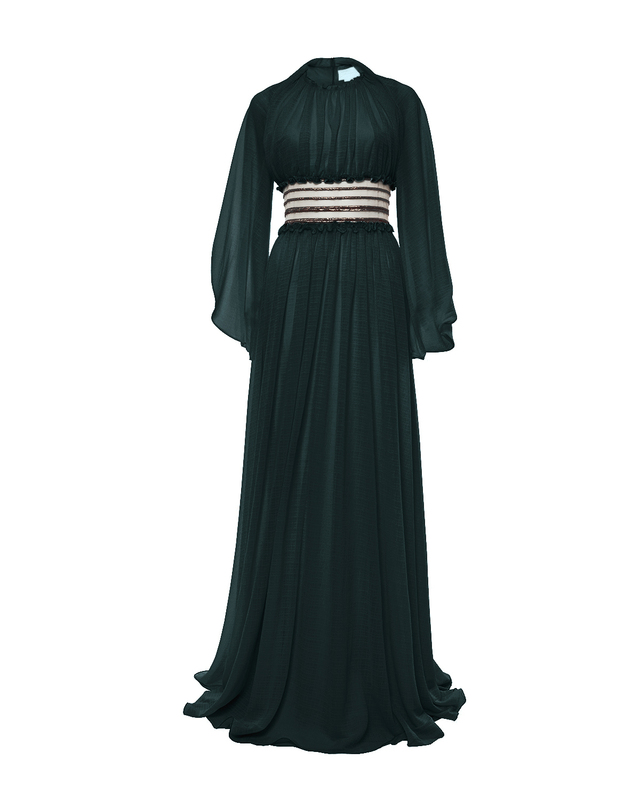 Available in dark green, the long-sleeved dress is embellished with contrasting gold lamé embroidery at the waist. The dress's soft silhouette is ideally suited to be worn at chic events with gold open-toed ankle boots.